2018 Virtual ticket log in. 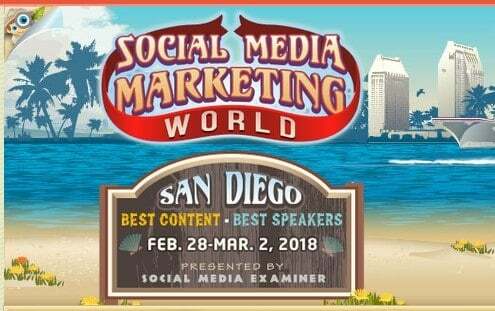 Was traveling to San Diego for Social Media Marketing World 2018 just not an option for you? We’re happy to announce the Virtual Ticket to Social Media Marketing World 2018! You’ll gain access to a private and exclusive LinkedIn networking group just prior to the start of the conference. There you can connect with peers, help out others, and ask questions. Your Virtual Ticket includes access to a private LinkedIn group for discussion and networking. The Virtual Ticket was designed by marketers for marketers and creators. That means we built it to accommodate your busy schedule. 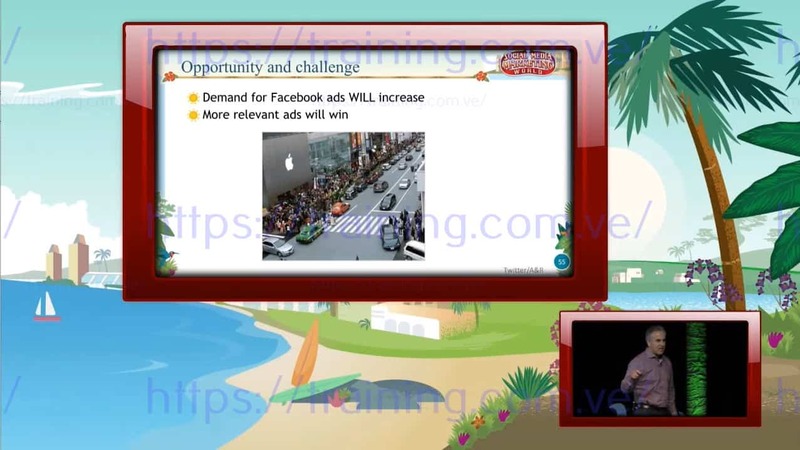 WHO: This Virtual Ticket is ideal for any marketer, business owner, or creator who wants to better understand the latest social media tactics or discover tips and know-how to grow their business. WHAT: The Social Media Marketing World Virtual Ticket provides full online access to ALL sessions from the physical conference in San Diego. These are videos you can play over and over. You’ll also get downloadable PDFs of slides and audio MP3 files. In addition, a private and exclusive LinkedIn networking group allows participants to network and ask questions. Click here to see the sessions you’ll gain access to. 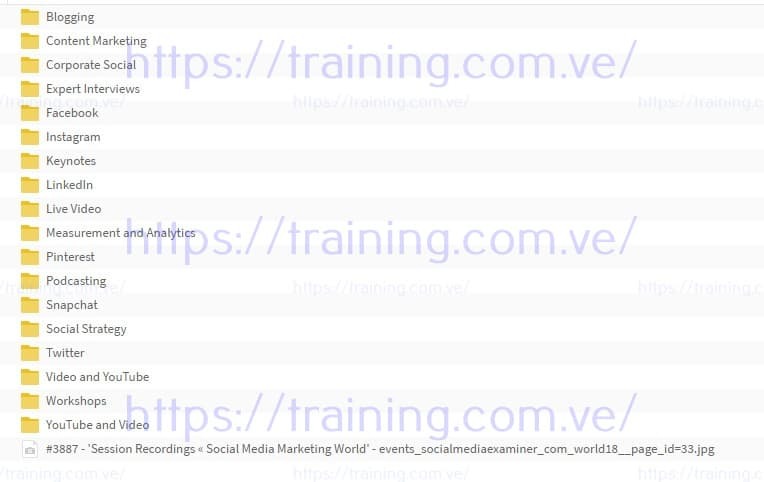 WHEN: Session recordings will start to be posted within 10 days after the conclusion of Social Media Marketing World 2018. You’ll have access to all the sessions for 18 months from date of ticket purchase. HOW: When you purchase your Virtual Ticket, we’ll email you instructions for your exclusive access to the content and our private LinkedIn networking group. If you were to attend the live Social Media Marketing World 2018 in San Diego featuring a lineup of world-class experts the cost would be $1597. And that doesn’t include the added costs of travel and lost work time! Not with the Virtual Ticket!! We have set up a private LinkedIn networking group. This is a place where you can post questions and get answers (and this can happen the moment you sign up!). You can email [email protected] and we will get back to you right away. What if I already purchased a physical ticket to Social Media Marketing World 2018? Do I get a free virtual ticket? Maybe. If you registered for an All-Access Ticket to Social Media Marketing World, you will receive special access instructions after the event. However, the Creator Ticket doesn’t include a Virtual Ticket. If you believe it’s not right for you and you don’t want to experience any more sessions or use the materials, just drop us a line at [email protected] within 48 hours (no later than April 1, 2018, and we’ll gladly refund your money and cancel your access. No hassles. No hard feelings.